Generation Latino has partnered with Protegete to show young Latinos that when it comes to being an environmentalist… Madre Tierra is never far! Conservation is in our blood; it’s from our culture. From the rain forest to the desert, generations of our families have been conserving our mother earth. We have lived off of and loved the land that provides us life. That is why we call her ‘nuestra Madre Tierra’ (our Mother Earth). You may not identify as an environmentalist, or conservationist. You are just doing what you have always done, but you are! Fewer young people today describe themselves as environmentalists than in the past two generations before them. A recent Pew Research Center study shows that only 32% of millennials identify as environmentalists, significantly less than 42% of baby boomers and 44% of the silent generation. However, these statistics fail to tell the whole story. Millennials are supportive of strict environmental legislation and are most likely to acknowledge the effect that humans have on climate change than previous generations. What do these seemingly conflicting observations mean? Young people are making conservation a part of their everyday lives. No label needed. America’s youth do not want to be confined by what they call themselves, or the labels people chose for them. They have chosen to be defined by what they do. They create and sustain conservation discussions across social media platforms. They stay engaged in their communities and educate about the necessity for action. Sometimes, they make pretty funny memes about it. Millennials across the country, and right here in Colorado, are finding ways to reconcile urban developments, with access to public lands and renewable energy systems. A quarter of all American young people are involved in an environmental organization, and more than half of young people in the US participate in a social justice cause, conservation being a focus for many (source). Millennials understand that to champion conservation; they must also address environmental racism, innovation in tech, health, and other aspects of life. Environmental jargon is often hard to relate. Let’s face it: conservation can feel exclusive, leaving many young Latinos and other people of color out of the conversation. The bigger movement is not connecting with them all the time, but they are active. Organizations like Protégete and Generation Latino work to elevate their voices, and strengthen the fight for our future. The challenges we face are complex. Cleaning our air, combatting climate change, protecting access to our public lands. Increasing clean, renewable energy use, and protecting the flows of our rivers ­even during drought years ­are some of the enormous tasks. Coloradans must work together on these issues to continue to live, work, play and sustain our state for generations to come. Conservation is a tall task, and if we are going to make the strides we need, Millennials need to be engaged. 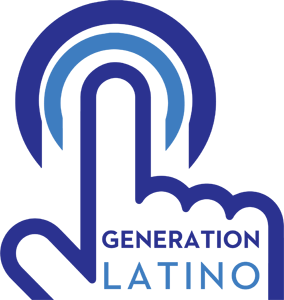 Generation Latino & Protegete meet young people where they live, in the urban areas and online, to help them stay informed, engaged and empowered. We are redefining what an environmentalist is. There is so much more to do to create a bright future for Colorado and Millennials. For Latinos specifically, we need to be us, proud of who we are, where we come from, and grateful to Madre Tierra for giving us life for so many generations.